There is a mixed season in the state including Ahmedabad today. However, the government is troubled by the news of the water crisis and the farmers are worried. The hopes of Sardar Sarovar dam on Narmada, a lifeline of Gujarat, have also changed in desperation. Still did not take part in the winter. There is a water crisis in the state. 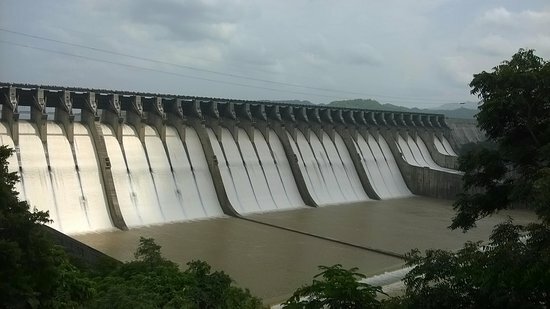 The water of major dams like Sardar Sarovar dam, Kadana dam, Ukai, Shetrunji and Dhoroi are witnessing a decline in the water level. In the state 10 important dams have saved 45% of the water. And is constantly falling. River Narmada is called Mokshwadi River. River sometimes flowing through the mountains of Amar Kantak, sometimes known as Narmada. However, water loss in water today is not feasible. The water that reaches a little bit of the canal. There the system is either cutting the pipeline. That is somewhere in the police ward. This live river flowing through the sound of water is also in a worrying situation with Sardar Sarovar dam. Mammothness has created an urgent need for the rehabilitation of the Narmada River. Today the condition of river Narmada near Chandad, Karnali, has become a spiritual one. The fields on the banks of the Narmada are also not getting water. With this, the boat business owners, who took passengers from one place to another, were scattered on the river’s water.